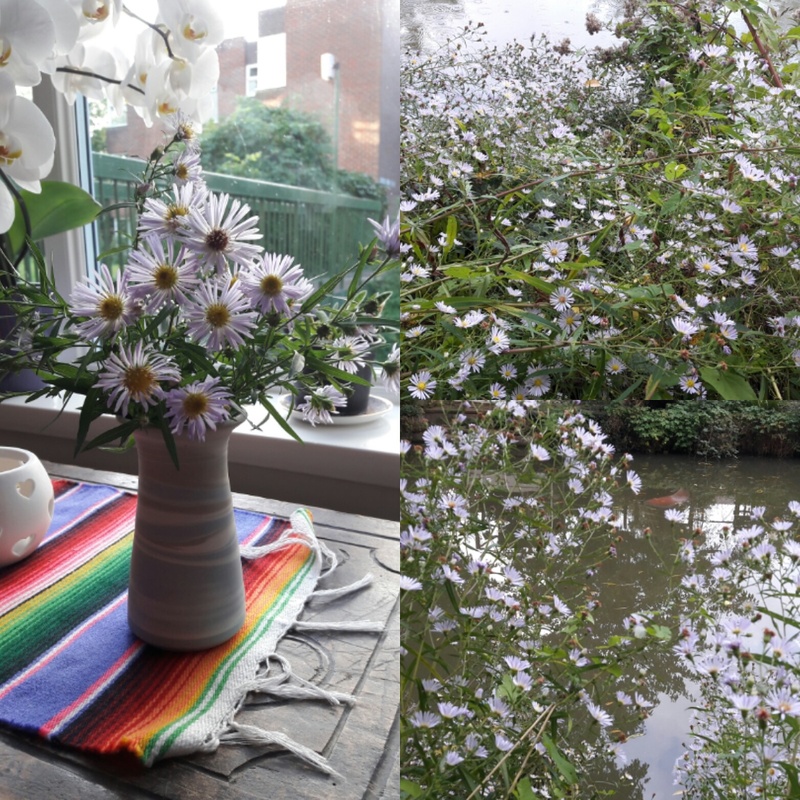 And appropriately for today's feast, there was a profusion of Michaelmas daisies along the canal; pale, shadowy lilac against all the greenery and grey-brown water. In Italian we call them settembrini, as this is their month; my mother had a huge clump of them just inside the garden gate, leaning forward - unless severely tethered - in friendly, golden-nosed, lilac-y greeting. The name Michael means Who is like God? It's meant as a rhetorical question, implying nobody could ever be anything like God - which is very true. And yet... we are all called to be as Godlike as possible, to be the likeness of God. 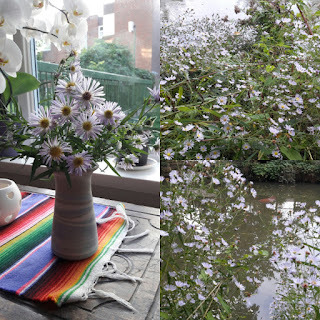 And part of the gracious loveliness of God is that he allows and indeed wants us all to be his likeness... and to see his likeness in all people, places and things. God rejoiced to be with us in Jesus, his truest, most complete likeness - and rejoices to be in and with us now and forever: in the everyday and the mundane as much as in the extraordinary and eventful; in the breath-taking and the barely-noticed, in beauty, ugliness, sorrow, joy and in the tiny and humble... including a little bunch of pale lilac flowers, late summer's quiet foretellers of autumn's approach.